You’ve worked the majority of your life, and now it’s time to focus on the things you love: your hobbies, your friends, and your family. Social Security benefits help retired workers of age 62 or older. While some people claim retirement benefits as early as possible, there can be an advantage to waiting until your full retirement age to collect your Social Security retirement. 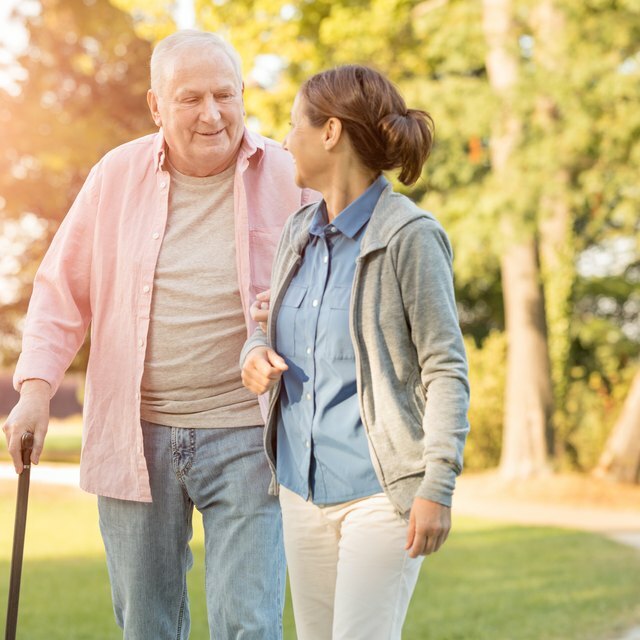 There are five main types of benefits available to those over 62: retirement, disability, Supplemental Security Income and survivor's benefits. Your retirement age depends on the year you were born. As of 2010, for those born in years leading up to 1942, your full retirement age is 65. For those born between 1943 and 1959, your retirement age is 66. For those born in 1960 or after, your retirement age is 67. Though qualified individuals can collect benefits after the age of 62, it may be wise to wait until your full retirement age (or later, if possible) in order to receive higher benefit payments. Because the amount of your benefit is a single, flat rate calculated by using both your income and life expectancy, the longer you wait to collect benefits, the higher your monthly payments will be. According to a Social Security Administration report, the majority of Social Security beneficiaries are those who receive retirement benefits. If you have worked at least ten years and paid social security taxes, you are probably qualified to receive these benefits. Retirement benefits help pay living expenses, such as rent/mortgage, groceries, utilities and entertainment. Keep in mind that the average retirement benefit awarded to Americans in July 2010 was $1,170 a month, so if you are accustomed to living on a higher paycheck you may want to wait as long as possible in order to “max out” your benefit amount. Disability Insurance, which is available to the blind or disabled of any age, may be available to you after age 62 if you meet the Social Security Administration criteria for determining the severity of a disability. SSI, on the other hand, is available to the blind, disabled and citizens over 65 with low incomes. Can You Increase Social Security Benefits by Working After Collecting Social Security? Survivor’s benefits are available to widows/widowers, ex-spouses of the deceased, and surviving disabled or dependent children. If your spouse worked for ten years under Social Security, you should apply for survivor’s benefits, especially if your late spouse made a higher income than you. Like retirement benefits, survivor’s benefits are for living expenses; the average benefit for a surviving spouse was $1,105 in July of 2010. Social Security Administration: What is SSI?